It takes continuous work to ensure that your Windows 10 deployment is as effective as it can be. By making just a few key changes and instilling a few habits in your IT team, you can improve your user's experience. 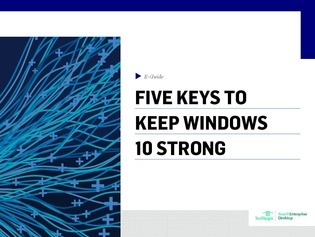 With this exclusive guide, complete with a quiz on Windows 10 features, you can boost your security power, improve operational efficiency, and take full advantage of all the features Windows 10 has to offer.